Welcome to Copenhagen, my home city and the topic of this website. I write about fishing spots and techniques in Copenhagen, but until now it’s been only in danish. Copenhagen is growing as an international city and I’ve been emailed more than once from foreigners who ask for advice. So, I thought, why not just write something in English for visitors and expats in Copenhagen? That I did and the result is this article. In this article you will find an introduction to fishing in and around Copenhagen. I’m almost exclusively a seawater angler for cod, mackerel, seatrout and other saltwater fish, but I’ve included some links for those of you who want to catch a big pike or carp. I know there are many who find that kind of fishing more exciting. I also link out to danish content on my blog, mainly when discussing locations. I have Google Map illustrations on these articles, so even if you don’t understand the danish, you can still find the spots by going by the maps. Last but not least, you are always welcome to write me an email at kontakt@oceankaj.dk. 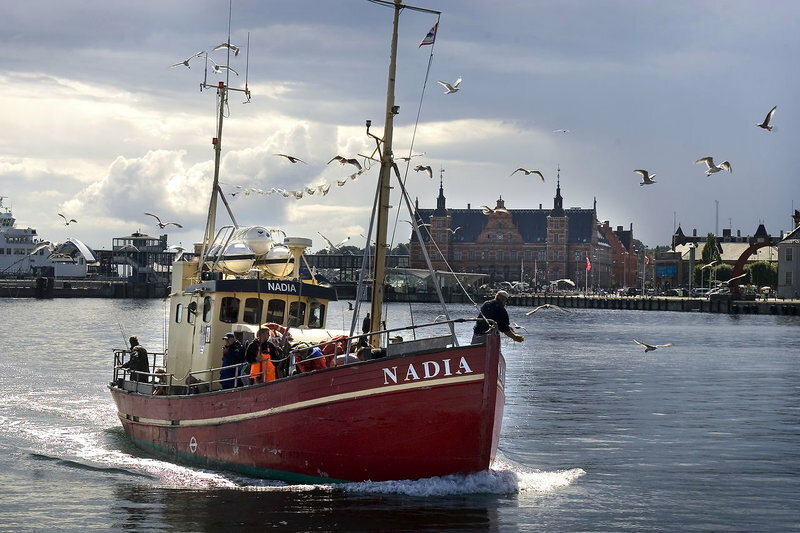 In order to fish legally in Copenhagen (and Denmark), you need a fishing permit. The proceeds from the fishing permit is used in conservation and breeding projects around the country. It’s cheap to buy, 185kr a year, or 40kr a day, so go ahead and get legal and help support the ecosystem. You can get your permit on Fisketegn.dk, which is a government site. Of course, you are very, very unlikely to get caught if you don’t have a permit. I’m not going to get all moralistic about this, but it’s a rather small fee, so might as well go ahead and get a good conscience. Copenhagen is located right next to Øresund, the strait separating Denmark and Sweden. It is a rich and mostly healthy ecosystem with a wide variety of fish. In recent years, there have even been reports of tuna making an appearance. Tuna used to be bountiful here, but commercial overfishing decimated the population, however it is a testament to the ecological preservation and restoration efforts, that the population is now increasing. Here’s to hoping it continues. Copenhagen has large harbor areas, now mostly defunct, from the periods when Copenhagen was a vital shipping port. These harbor areas often jut into Øresund or present with deep long basins where large ships used to port. In combination, they present some very interesting opportunities for fishing. The Copenhagen municipality has done a lot of great work in restoring the water quality to an A+ rating. The water in and around Copenhagen is now usually very clean. You can tell from all the people swimming in the open air harbor bath in the summer. The only problem is the sediment in the harbor area, which is contaminated from years of industrial use. The municipality concluded a proper clean up would be too expensive and instead poured sand on top of it. That means, you shouldn’t eat stationary bottom dwelling fish in the harbor such as flounder, herring, perch (except from Oceankaj) and eel. All other fish are ok to eat. Fishing is allowed in the spots below, shown by the green lines. You can read more about the individual spots under ”Fiskepladser”. It’s in danish, but I’ve included Google Map screen shots, so you can find the spots, even if you don’t read danish. As you can tell, there are limits to where you can legally fish. Officially, fishing in the inner harbor and the canals is not allowed, but lots of people fish there anyway. There’s a growing movement to pressure the local politicians to allow fishing in those places too, but if you do choose to fish there, remember that you’re representing anglers in the public opinion. That means, most important, clean up after yourself, be polite and friendly if anyone asks you a question. I personally don’t like fishing in the inner harbor as I do feel a little too self conscious fishing in places with a lot of onlookers. It’s a good spot for cod in the spring and fall. Nordhavn (Northern Harbor) is a former industrial harbor with a lot of industry. Not anymore though. Most of the industry has left and now the area is rapidly being gentrified with some very expensive apartments, but it’s probably going to be a decade or more until the area is really ”normal”. It’s still a rough industrial area with deep harbors, where large vessels used to dock. These are up to 8 meters deep and up to several hundred meters long, thus they have an ecosystem, not unlike a small fjord. 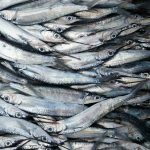 Lots of different types of fish make these deep docks their home, notably cod in the spring, fall and winter and garfish and mackerel in the summer. It’s one of the better places to catch mackerel in the late summer. At the far end is Oceankaj, which is also the name of this site. It’s an artificial island with a long pier extending several kilometers into Øresund. The unique selling point here is the sandy bottom and the relatively deep depths, making it a preferred hangout for flatfish. It’s a bit of a hassle to get to and technically not allowed, but people go anyway. Refshaleøen is in the southern part of the harbor across from Langelinje and North East of Amager. Here you can catch cod, flatfish and seatrout depending on the season. I wouldn’t really recommend over other spots unless you live in the area. The North-Eastern part of the area is called Lynetten, flanked by massive windmills. This is a popular spot for cod fishing as the water is deep close to shore. Slusen is an intriguing place in Sydhavn, the southern part of the harbor. I haven’t been there much, but plan on going more this spring and will update accordingly. It’s a popular spot to catch seatrout as the canal lock creates rapid currents which supposedly trick the trout into thinking it is a proper waterway canal. It’s an interesting place Slusen, to me it almost reminds me of a put and take lake in it’s construction. You have this small lake like area and according to people there, you should fish near the bottom with either lures or using a float and earthworms or ”børsteorm”. The water in Øresund is quite brackish with a low salt content. This allows for some interesting fishing outside the city proper, where huge pike and perch can be caught. South of Copenhagen in Køge, you’ll find Tryggevælde Å, which is quite famous for the many and huge perch which thrive in the nutrient rich brackish water. There can be quite a lot of people at some spots near the mouth of the river, sometimes almost standing side by side, but you can find your own spots. 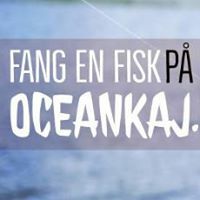 You can contact Køge Sportsfishing Association at the link. The site is in danish, but I am sure they’ll answer an email in English. Pike is a very popular sports fish in Denmark and Copenhagen, but I don’t know too much about where and when to catch it. I know that there are big brackish pike in Køge Bugt (the bay). The bay has low depth and brackish water which makes it perfect for these big pike. The real big pike fishing areas are outside Copenhagen in the southern part of Zealand in the Møn and Stege area. This is outside the scope of this article and I recommend you contact some of the fishing guides on FishingZealand.dk if you want to try that. I can’t imagine it would be easy to go alone there, probably best to join someone more experienced. There are several places to catch pike in Copenhagen. I don’t fish for pike, so again, not an expert. I do know that there are a lots of really big pike in the 5 lakes on a row in Copenhagen (”Søerne”). However, it is not allowed to fish here outside a few days a year. I see people do it anyway, but you’ve been warned. I also know that you can catch pike in ”Kastellet”. The Swagtrout blog has some good info in English on pike spots in Copenhagen. There is of course also the possibility to go fishing from a boat. This can be either from a private boat in Øresund or in a fishing boat that takes groups out to fish. Speaking of the latter, it’s a very popular form of fishing for cod and other species in the winter, but you can go year round. In the winter time, you can catch some serious size cods on these boating trips, +10kg cod are not uncommon and known as ”målere” (measuring large enough, an understatement). It’s a kind of fishing popular with all kinds of people and many go fishing here as their only fishing experience in a year or even lifetime. It’s not exactly a comfortable experience, cold, windy and somewhat of a competitive and ”direct” tone, but it’s all worth it when you haul that big cod from the depths. Other boats go out for mackerel, flat fish or herring. There’s the possibility to rent fishing equipment on the boats. Do a google search for ”kutterture Øresund” to find boats, there are lots and I don’t really know any to recommend. Feel like some info is missing? Feel free to email me at kontakt@oceankaj.dk.